PSX Star Trek: Invasion (USA) in 38:25.05 by adelikat. 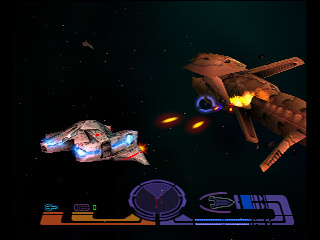 Star Trek: Invasion is a a space combat shooter, released by Activision in 2000. Highly notable is the cast of Star Trek: The Next Generation voicing the dialogue. In this run, adelikat gets through the game's 15 required missions as quickly as possible via extremely difficult optimization.